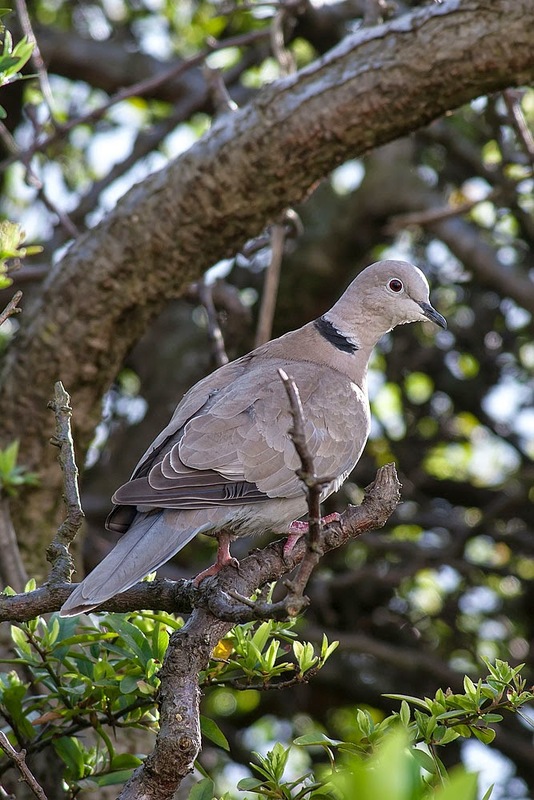 The first Collared Dove spotted in the UK appeared in 1959. At that time it was a common bird of North Africa but it had begun to colonise southern Europe. Now (2014) it is one of the commonest birds in the UK and numbers in the millions. It is also one of our commonest garden birds… my tiny patch has a couple of pairs at any tiome of the year and has peaked at 20 birds on occassion. Its not surprising in as much as they seem to be able to breed anywhere at any time and are virtually omniverous too. I onece saw one nesting in the crook of a drainpipe with a few random twigs supporting several eggs. They feed their young on ‘crop milk’ so, so long as there is some food source for the adults their young survive (if they manage not to fall out of the lean’to of a nest) and are never in danger of choking.